Legally Strawberry Blonde: Things That I am Loving! Things That I am Loving! I thought that I'd do a post about products I am loving and looks that I'm currently loving! The look for me lately has been monotone lid (that is one color all over), black eyeliner (ok, when isn't that my look?! Black eyeliner works magic on my tired eyes! ), awesome lashes and a bright pink lip! Super easy and cute and great for when I'm in a rush! For the days that I feel like doing something in crease, I'll add Modelette because its a bit of a cooler medium brown that can be built up to be darker color. But it provides a great color to the crease that is subtle and not dramatic! For my monotone lid days, I whip on any light shimmery color. Favorites are also Naked Lunch, All That Glitters and Retrospeck. Naked Lunch, Modelette and Vanilla. Viva Glam Gaga has got me on this bubblegum pink, lip product love! It reminds me of spring! I'm not talking subtle pinks like Angel but true, true pinks! I'm really going to have to look at Bubblegum...hmmm! 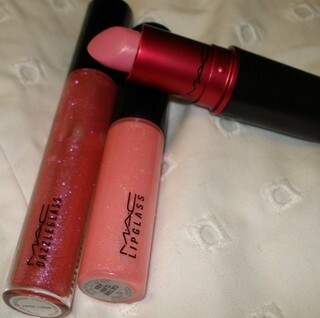 And I've been loving gloss. But I have to say, Dazzleglasses kind of dissapointed me! They're GORGEOUS but run out so fast! I'm amazed how much I have gone through even though I only used it around 7 times. And I hate that they're more than the lipglasses but you get less product! 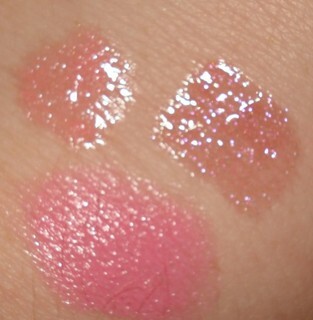 Top is Cultureclash lipglass, left is Gaga Lipstick and right is Money, Honey dazzleglass. Lastly, Forensics! Yup, I keep going back and thinking I'm going to continue to work on getting my BS in Criminal Justice but get a MS in Forensics. I'm really ready, to face the math music and do it! Its something I really have been loving and interested in! So anyone want to help me with Calc?! So what all are you loving?! Love to hear! And another question for you, that I've been curious about, when you go to MAC do you ask the MA to get a product for you or do you get it yourself? Like eyeshadows and whatnot! 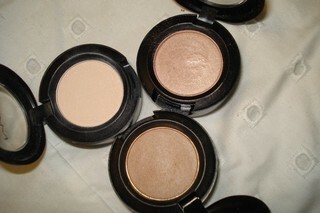 And what is your favorite all over lid color from MAC? I always ask the MA to grab it for me, they keep items inside the drawers. "OHEMGEE. I'VE NEVER SEEN SUCH A PINK ROOM"